Drive to Badrinath via Joshimath. Check in Hotel. 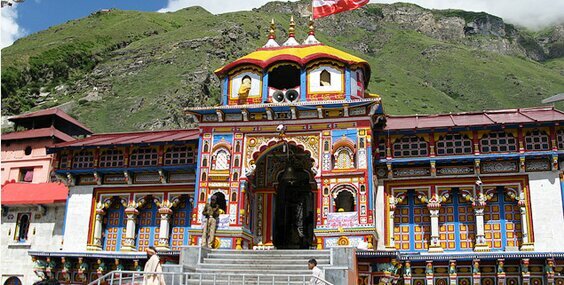 Later visit BadrinathTemple.Overnight stay at Badrinath. Early morning, pilgrims after having a bath in the Taptkund have the Darshan of Badrivishal. Brahamakapal is significant for PinddanShraddh of ancestors (Pitrus). There are other interesting sight seeing spot like Mana, VyasGufa, Maatamoorti, Charanpaduka, Bhimkund and the “Mukh” of the Saraswati River. Just within the three kms of Badrinathjee. Later drive to Rudraprayag. Check InHotel.Overnight stay. TaptKund: Natural thermal springs on the bank of the river Alaknanda, where it is customary to bathe before entering the Badrinath temple. BrahamaKapal: A flat platform on the bank of river Alaknanda. Hindus perform proppitiating rites for their deceased ancestors. Sheshnetra: 1.5kms away is a boulder having an impression of the legendary serpent, better known as the Sheshnag’s eye. Charanpaduka: 3kms away is a beautiful meadow where the footprint of Lord Vishnu is seen on a boulder. Vasundhara: As the name suggests, vasundhara is a magnificent water fall. This place is 5 kms from Badrinath out of which 2 kms. ismotorableuptoMana. BhimPul: On the other side of Mana village, a massive rock forming a natural bridge lies over the roaring Saraswatiriver. It presents a spectacular view of water thundering down through the narrow passage under the rock and is believed to have been placed there by Bhim, the second eldest among the five Pandava brothers. VyasGufa (cave): Near Mana Village, this is a rock-cave where VedVyas is believed to have composed the Mahabharata and the pauranic commentaries. After Breakfast drive to Hardwar transfer to your Hotel. Later visit Haridwar Sight Seeing & Temples. At evening visit Har-ki-Pauri for Ganga Aarti.Back to your hotel, Night halt. On Arr. Haridwar, transfer to Railway Station. Tour Terminate.